I’ve eaten a lot of truly exceptional vegan meals in my life. But I have absolutely no trouble recalling the single best meal I ever had (truly the single best one!). Prepared in an ancient restaurant in a little town on the island of Sicily, it was a big bowl of chickpeas that had simmered on an open hearth in a sauce of tomatoes, garlic, herbs and olive oil. The beans were served along with an impossibly delicious home baked bread, the world’s freshest salad, and a tumbler of Chianti. The food was great, but admittedly lots of things about that meal made it special. 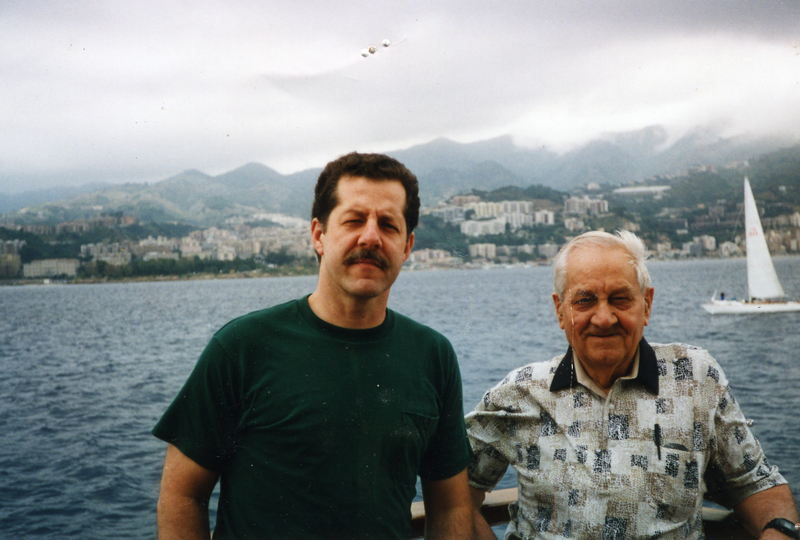 I was with my husband and my father-in-law. We had brought my father-in-law to visit the city of Messina, where his own father had been born. It had long been our dream to take him there, and the trip meant a great deal to all of us. The setting was delightful—an old, dark and rustic restaurant steps away from the Mediterranean Sea. And okay, it’s possible probable that I had more than one glass of Chianti. But you could strip away those embellishments, and it wouldn’t change the fact that the food was spectacular. It’s not like I didn’t already know that vegan food was delicious, but Italy opened my eyes to the true glories of plant foods—and to how the most basic peasant food in the world manages to be the healthiest and the most appealing at the same time. It’s the kind of food that can truly convince people that healthful eating is not dreary; it’s incredibly fabulous. It’s certainly not the way I always eat. The bulk of my diet tends to be a little bit mundane—lots of beans and rice and steamed veggies, often perked up with condiments from a bottle or a homemade sauce. If I have time, I might cook a little bit fancier on the weekends, sometimes trying out recipes that are more involved. All of these approaches remind me that vegan cuisine has come a long way. It’s easy when you want it to be, fancy and gourmet when you want it to be, and earthy, traditional and authentic when you want it to be. But, while my traditional Sicilian meal was from one of the world’s healthiest cuisines, it wouldn’t meet the rigid rules of “whole foods plant-based” eating that so many vegans insist upon. It included white flour, olive oil, and wine. Admittedly, white flour and refined grains are not usually on my menus at home. But, I have them occasionally, often choosing to have regular pasta rather than whole wheat, for example. They are not poison and there is no reason to forbid them. Olive oil and a handful of other healthy fats do play a regular, albeit small role in my meals. I have yet to see any reason why I shouldn’t use them. Some products—the ones that are processed beyond anything that resembles “food”—are definitely bad for us. But those are way different from gently processed foods that have long been a part of cultural diets. Foods like tofu, pasta, and olive oil. There is no reason to think that including these foods in your diet is going to raise your risk for chronic disease. Nor is there anything to be gained from the idea that gluten-free, oil-free or soy-free is somehow better than plain old vegan. Instead there is a lot to be lost when a vegan eating pattern gets turned into a rigid menu with all kinds of rules that have nothing to do with health or with a compassionate diet. Our job as animal advocates is to help people find that sweet spot where their diet is healthful and at the same time, practical and enjoyable (two of the driving forces behind food choices.) Promoting very low-fat eating or no-oil or raw-foods-only or grain-free misses this by a mile. It doesn’t make diets any healthier but it does make them more forbidding. No sweet spot there. Here is the thing about veganism: It really is a way to have it all. A big heart for animals, a small carbon footprint, a healthy body, and incredibly fabulous food. We should advocate for the kind of vegan diets that celebrate and endorse all of those benefits. Mark and Carmen Messina with Messina, Italy in the background. Ginny, I love this! Thank you for speaking some common sense. I avoid gluten because it doesn’t seem to agree with me, but after being on the oil-free wagon for awhile, I’m so happy to have kicked that habit & now include it as a part of my family’s diet. I also don’t get the anti-soy folks. I never have. I agree. Joie de vivre. Live a little. Abandon orthorexic mental habits. Eat outside the box a bit. Enjoy many of the great foods that life has to offer. One doesn’t have to be so strict, and to do so, often kills one’s joy in the small, simple pleasures of existence. I’ve been wondering about the vegan advocates who advocate no-oil. I see benefits in reducing as much oil as possible, including refined olive oil. I don’t worry about how many nuts I have per day or how much avocado. It’s a bit of a relief to see an RD doesn’t see the need to be totally avoidant. On the other hand, I know how easily it would be for me to slip into a higher fat diet, with the new cashew cheezes that are coming out, not to mention potato chips and quantities of oil-filled pesto. It is finding a place where I can cook food that tastes enjoyable, that is healthy and that I don’t have to worry about adding a few drops of oil here or there. Thank you! The “whole food plant-based” crowd is a lot less rigid than you’re making them out to be. For example, I don’t know anybody that advocates that style of diet that would entirely forbid refined carbohydrates and they wouldn’t suggest you’re going to drop dead if you ate a single meal with some olive oil. Most are fine with the occasional glass of wine as well. I’m not sure what is achieved by picking at this group, its not like the majority of vegans are consuming anything close to a whole foods diet. This is a great article – so well written, as always. I always appreciate your common sense approach, as well as your thorough research and understanding of nutrition. 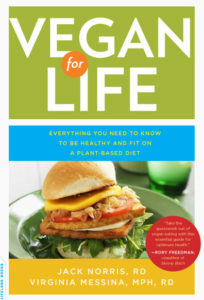 Thank you so much for the information and for being such an inspiration to vegans. And the chickpeas simmered in tomatoes does sound amazing! I’d love if this were true, but apparently you and your followers have never been sick enough with a bad enough chronic disease to know that many people need to be very careful of what they eat, in order to save their lives. This is just irresponsible, and not a good representation of the truth at all. I had heart disease, I have stents, I was told I wasn’t going to last much longer. Thanks to the people you seem to bash, I am well again. 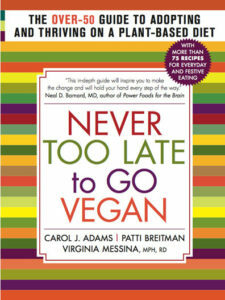 I have been vegan for 29 years, back before it was cool. 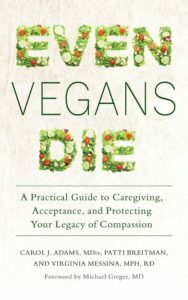 I got heart disease as a vegan, I reversed heart disease by restricting my diet to whole foods, and eliminating high fat foods. And I was a pretty healthy eater (so I thought). Before you judge and cast stones, please know that not everyone fits into the utopia that you want. There are people like me with serious illness, by saying we can eat whatever we want is not a fair statement, and could hurt people. I wish that people were not so judgemental of us who have to eat a healthy diet, and look around, not many people are walking around healthy and at a healthy weight, most of us can’t do the moderation thing like you. I hope one day you can separate the two things. Being Vegan is NOT just about food. The plant-based people are talking about something different, they are not advocating going vegan, they are advocating eating a healthy diet. I’ve been doing this for almost 3 decades and I’m tired of the Vegan movement getting angry at the health movement, they are 2 different things. Sheila, I didn’t say at all that people should eat whatever they want. And this is not about chastising people who want to eat healthfully. I want to eat a healthy diet! And I want other vegans to have good information so that they can do the same. What I don’t want is for us to build a long list of forbidden foods that can, in fact, be part of those healthy diets. It is certainly not just “health” vegans who do this. Many ethical vegans have also jumped on the “no-oil” or “no-soy” bandwagons. Hi Sheila, I’m sorry that you had such serious health issues and glad that you found solutions that have worked for you. If you read through the history of this blog, I think that you will find that the advice being given is meant for the general population for the most part; if a person already has a health condition then different advice may be forthcoming. The super low fat vegan that it seems you are using is indeed finally becoming widely advised for people with existing heart disease- the cardiologists at the hospital at which I am a nurse are now advising it to many patients with heart disease and stents. This does not mean that it is necessary for all people. 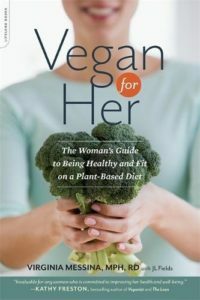 I have read many vegan blogs about nutrition and one reason that I return to this one among very few others is the moderation of Ginny’s writing and the absence of a “one size fits all” approach to diet. There seems to be general pool of dietary advice that can be given to the population as a whole for maintaining optimal health this does need regular updating based on new research (this blog is excellent at doing this). The advice then needs tweaking based on an individuals health situation and then each person needs to bring their own experience to finally choosing the makeup of their own diet. I don’t see anything in this blog that disrespects this, but there is skepticism towards unsupported claims about highly unusual or restrictive diets being touted as universal cure-alls. Best wishes for your future well-being. Sheila, I agree that for people who are trying to prevent a second cardiovascular event (“secondary prevention” patients) being very careful about what one eats is paramount. But does this mean that a meal with white bread and olive oil consumed on the vacation of a lifetime is going to acutely cause a heart attack (coronary thrombosis)? It’s unlikely, since all the evidence to date suggests that the Mediterranean Diet actually prevents cardiovascular events, i.e. the typical diet consumed in southern European countries. And this was shown in two large randomized trials as well as a wealth of observational studies. However, if I had overt heart disease, I would try to limit my fat and refined carb intake to as low as possible. Fortunately, I’ve made great changes in my diet already and all my biomarkers have been positively improved, so I suspect that the very occasional meal like Ginny describes is not going to lead me to a coronary thrombosis (but I could be wrong). It’s a very well discussed subject that no one can agree upon – but I do agree with your stance on olive oil and other healthy fats. I eat avocado, use coconut oil to cook with and take vegetarian omega 3 supplements- regardless of what they may or may not help with. But although like you I do east refined carbs (my guilty pleasure is white bread) after reading this: http://www.bulkpowders.co.uk/blog/research-sheds-light-links-saturated-fat-health/ I am going to make concious effort to cut out these kinds of things from my diet. I think refined carbs are the enemy now – and there asre plenty of foods you can eat with a vegetarian or vegan diet that don’t include them. Who in the plant-based movement are saying that you should never have any oil or white bread, like EVER? Caldwell Esselstyn seems to be the most joyless of the bunch but I think he has recently conceded you can have sugar on occasion. Dr. McDougall, your favorite guy, says that bread, white rice and pasta (doesn’t have to be whole wheat) are acceptable. Of course whole wheat would be optimal because of the fiber. The whole thing about oil is you are trying to argue it’s beneficial to your health, but from what I’ve read it’s untrue or at the very least has not been proven 100%. You can probably get away with having a couple teaspoons a day, but after that you start setting yourself up for possible disease. Not everyone but still. Your own plant plate guide agrees, “Be moderate with your intake—2 to 3 tsp per day.” I’d say that was reasonable. The problem is, most vegans eat way more than that. If you stick with just 2 to 3 teaspoons a day, you’re going to need to find at least 1 or 2 oil-free meals a day to be able to stick with your own, what would be considered low oil recommendations by most vegans. 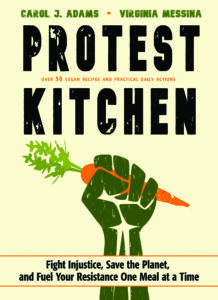 My point is, there is a place for those who are creating oil-free recipes in the vegan community. And a place for those who are warning about consuming too much oil. Judging by your plant plate guide, you are one of those people. I myself decided to go on a whole foods, low-fat vegan diet because I have a family history of heart disease. My dad died in his early 50s from heart disease and my Mom suffers from it as well. I’m not waiting until after I have a heart attack to make necessary changes. Not many guys my age are thinking that far into the future, so I commend myself (no one else will) for having the forethought. I like to eat mostly oil free during the week and at the end of the week reward myself with a little olive oil in something if it’s something that taste better with it. Admittedly there are some things that don’t taste as good without some oil. I never think of how I eat as restrictive. I don’t use the word forbidden to describe any foods unless it’s animal based. I hate when carnivores say those kinds of words about vegan diets, and it perturbs me even more so when it’s coming from someone who should be fighting in your corner. This entire entry (dare I say entire blog) feels like health shaming, a place for vegans to bully and get their pent-up aggressions out on those who dare suggest there is an inkling of a reason to have a vegan diet for anything other than the welfare of animals. I am a very thoughtful person. I think about things too much, to a fault. But I wouldn’t be the person I am today if I didn’t. It’s the reason I’m vegan for animals and my own health. Josh, there are indeed vegans who have very rigid ideas about which plant foods can and cannot be a part of healthy vegan diets. The fact that you never use the word “forbidden” regarding certain plant foods doesn’t mean that others don’t. Judging from the mail I receive, I’m not the only person who is concerned about some of these rules about healthy eating. That’s why I wrote this post. And no, I have no particular interest in arguing the oil is beneficial to health; I’m interested only in arguing that there is no reason to view it as toxic (a word that people actually use to describe it). 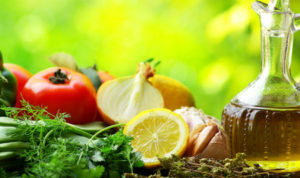 It can be included in healthy diets, especially diets that are primarily whole plant foods. If you think this post is meant to shame people who care about their health, you’ve misread it. I want vegans to be healthy. I just don’t want them to embrace misguided information about what that means. On this blog, I challenge bad science and unsupported claims about nutrition. Whether it’s the paleo dieters saying grains are bad for you, ethical vegans saying that B12 supplements are unnecessary, or health-oriented vegans saying that vegetable oils are junk foods. It’s all the same to me, because all of these views are harmful to vegans and veganism. All true, but regarding Josh’s question, is there actually any evidence that eating vegetable oil is health-enhancing? I assume the big trials in this area are the Lyon Heart Study (rapeseed/canola-based margarine), PREDIMED (extra virgin olive oil), and the Sydney Diet Heart Study (safflower-based margarine). Lyon and PREDIMED showed consistent benefits whereas Sydney Diet showed harm. So the type of oil appears to matter (go with EVOO or canola). I still prefer to get most of my fats from nuts/seeds rather than oil, but if you blend the nuts/seeds, perhaps it’s just the same as consuming oil? Dan, I agree about going with EVOO or canola. I also use small amounts of avocado and walnut oils. And soy oil has a good ratio of omega-6 to omega-3. But again, I’m not advocating for the consumption of oil. I’m only advocating against the idea that it should be forbidden. There is some evidence for benefits of EVOO which is a unique source of the phytochemical oleocanthal which has anti-inflammatory and antioxidant properties. But, as you know, there is plenty of disagreement about whether olive oil is actually responsible for any of the health benefits of Mediterranean diets or whether it’s just an innocent bystander. The study at http://gg.gg/red-wine_green-olive demonstrates that the combo of green olive oil and red wine actually can improve artery endothelial function. This could be one of the reasons why the Mediterranean diet can be so healthy. The use of quite a bit of olive oil might also help by protecting the omega 6 to omega 3 ratio, as more fat calories come in the form of omega 9 monounsaturated and not omega 6 polyunsaturated. I don’t remember! It was a long time ago.